​After crushing the Big 10’s Purdue Boilermakers on the road in front of a “Power 5” crowd in West Lafayette, UC is off to a 2-0 start. This Thursday night at 7:30 pm ET on ESPN, the red hot Houston Cougars march into a hostile Nippert Stadium. Let’s be clear – this is a BIG deal. In fact, it’s the first time a top-10 opponent has come to Nippert in 10 years! 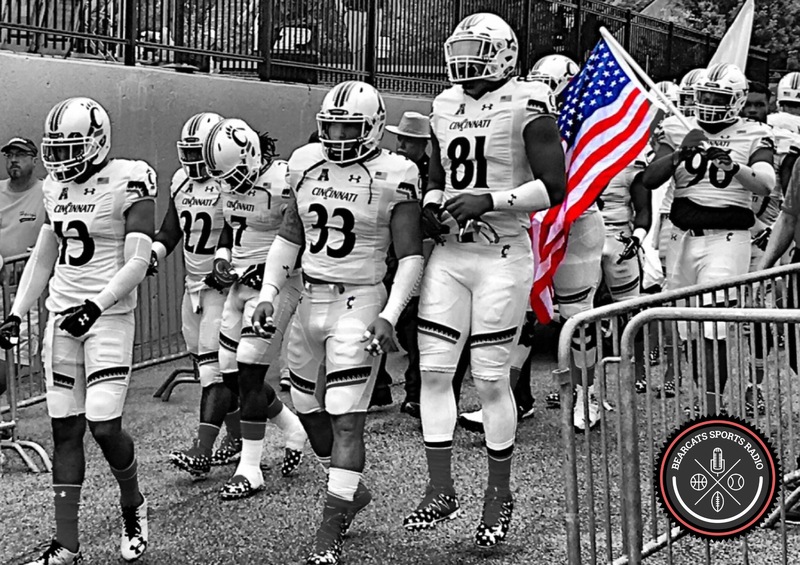 The Bearcats take the field for the game against Purdue. The first blackout of the year could not have bigger implications for both squads. For #6 Houston, the Cougars need to go undefeated in dominating fashion and cross their fingers for a shot at the College Football Playoff. For UC, this presents a national opportunity to beat a top-10 team and a conference foe. While nobody will admit it, beating Houston would send a message to those in the Big 12 who are likely to publicly announce UC’s fate next month. UC also hasn’t defeated a top-10 team since 2010 when they whipped Rutgers. 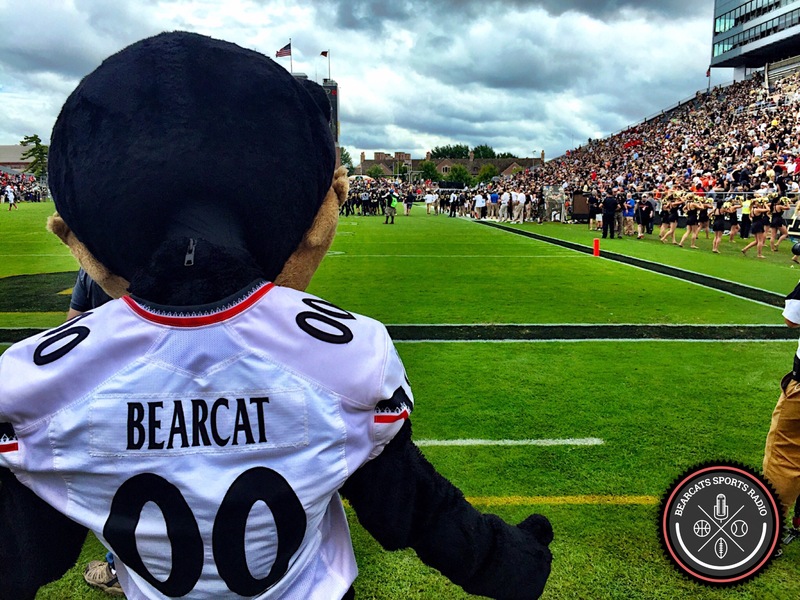 ​Head Coach Tommy Tuberville took some heat from the Bearcat faithful after Week 1. However, the schemes assembled by Offensive Coordinator Zac Taylor looked flawless against Purdue. When questioned after game, a hyped-up Tuberville said he opened up 25% of the playbook week 1, and another 25% week 2. If you’re doing the math, 50% remains. What does this mean? The team has been preparing and practicing more packages to install, which means Houston will see a number of brand new plays. And judging by how comfortable Taylor made Hayden Moore look in West Lafayette, second year head coach Tom Herman should take UC very seriously. ​Besides having the home field advantage in front of what should be a sold-out Nippert Stadium, the Bearcats may have another lucky factor in their favor – the Cougar’s little engine that could, Greg Ward, Jr., did not play against Lamar and it’s still unclear if he will be 100% this week. It may have been precautionary. After all, Herman and his Coogars could’ve beaten FCS Lamar blind-folded. 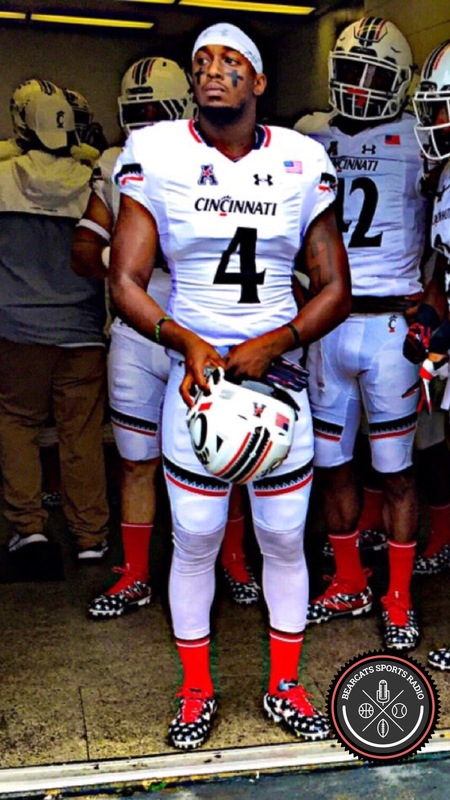 However, facing Houston without their all-star QB at 100%, admittedly, would give the Bearcats a huge edge. How badly did the Oklahoma Sooners beat up old Greg’s right throwing shoulder on those 18 carries resulting in 1 net yard? The MRI showed no structural damage. Herman said Ward was “70% to 80%” and “would have played” if it was a conference game. Is that coaches speak, a bold-faced lie, or the truth? Who knows? ​In addition, the Cougars held out starting tailback Duke Catalon, who was nursing a sprained ankle. Like Ward, Herman said Catalon “could have played, if necessary.” Both players are expected to start Thursday night. The last time old Greg sat out a conference game was last year against UConn. The result? Houston’s only loss in the last two years! The bottom line – Ward is a huge deal and his health will go a long way in determining the outcome Thursday night. ​If you watched Houston defeat OU in week 1, you know what to expect. When asked about this week after the Purdue W, Tubs said the last 2 times we played, the games were “knockdown, drag outs.” Just look at last year. On the road, UH won 33-30 thanks in large part to bonehead penalties, including three personal fouls. Even so, UC threw for 523 yards, despite 2 painful interceptions. 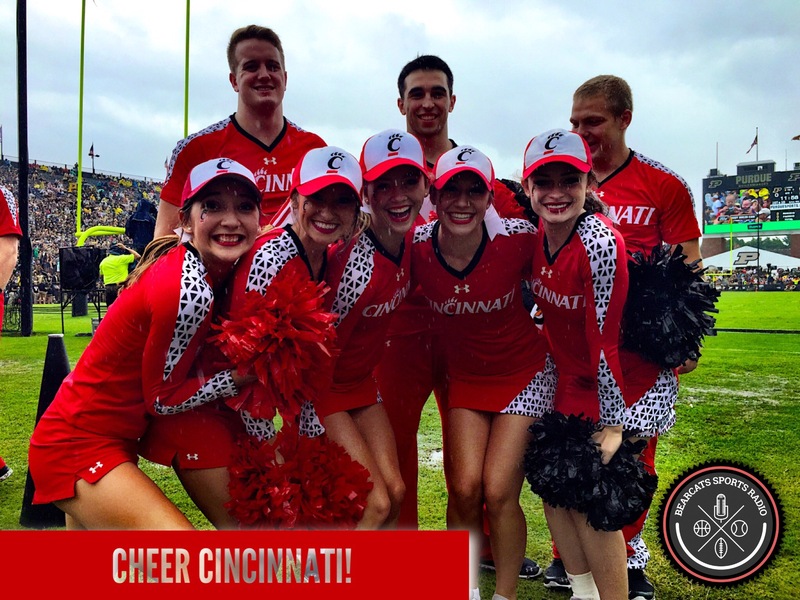 In 2014, UC beat Houston at Paul Brown Stadium to win the conference in Tubs’ first year. The last 3 matchups were decided by a grand total of just 18 points. The bottom line? If nothing else, Thursday night should be a blast to watch as a college football fan. ​How will UC deal with 18-year-old relentless 5-star defensive lineman Ed Oliver? Can the defense contain the threat of old Greg running the ball? Will Ward and Catalon be 100% healthy? Will their star wide-out #88 Steven Bunbar torch UC’s secondary? Will UC shut down special teams tricks like returning the missed field goal against Oklahoma? These are all key questions percolating in my head. ​Turnovers, turnovers, turnovers – this will be the key. The team who wins the turnover battle will win this game. Both offenses are far superior to the defenses. The Bearcats flipped the script from last year, going +5 against Purdue. Can Mike Tyson continue his interception streak? Will the D-line pressure and not over-pursue? It appears Mike Boone and Tion Green have figured out how to protect the rock and churn out 5-yard carries. Hayden did not even come close to throwing a pick at Purdue. These are great signs. ​We are looking forward to seeing the X’s and O’s Zac Taylor will unleash this week. Nate Cole will always be reliable. But can Boone break a big play? Will Hayden stay poised even after getting knocked around by Ed Oliver? Will Devin Gray continue to be a deep ball threat? Will another new starter have a breakout game? On the bright side, the Bearcats know exactly what to expect from Houston. UH, on the other hand, has no idea what to expect from UC’s offense. ​Prediction: Houston head ball coach Tom Herman was born in Cincinnati and will lose a nail-biter in Cincinnati. UC wins 35-31.